Our philosophy of service at North Star Retirement Community is that Independent and Assisted Living encourages an active and free senior lifestyle that supports residents’ privacy and dignity. Our senior apartments are considered the largest and most spacious in Coeur d’Alene. North Star provides Independent Living, Assisted Living, and Respite services. Our community environment is rich in daily activities, with all day restaurant-style dining, graciously appointed interiors and apartment styles. 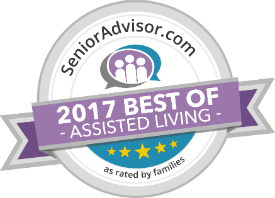 Our senior housing and Assisted Living services provides senior living with resort-style amenities in the heart of Coeur d’Alene, serving Post Falls, Hayden, Rathdrum, Spokane Valley, Spokane, and surrounding communities. Come see for yourself. Enjoy life and learn to live with the freedom of Independent Living. At North Star we want to encourage inspiration and help achieve your dreams. Our trained staff and friendly environment is perfect for you or a loved one with additional needs. Put your trust in us and live worry free. Eat anytime, your personal tastes are always on the menu in the dining room, open nearly 12 hours daily. We offer fresh, seasonal entrees, prepared just how you like them. Go ahead, challenge the chef to make your favorite home cooked meal. Whether you are inside or outside, our activities team will always have fun and exciting events planned at North Star. Weekly outings to attractions and educational hotspot in and around Coeur d' Alene. Take trips to appointments in our routinely scheduled shuttle. Open 8am to 4pm, just call the ladies at (208) 765-5505 for an appointment. It's very clean, and the staff is very good. Great place great staff especially Becky! What a beautiful, friendly community! I cannot recommend North Star highly enough. I am very pleased. North Star provides Independent Living, Assisted Living, and Respite services in Coeur d' Alene, Idaho.